Why we recommend Puerto Banús for your dream home? 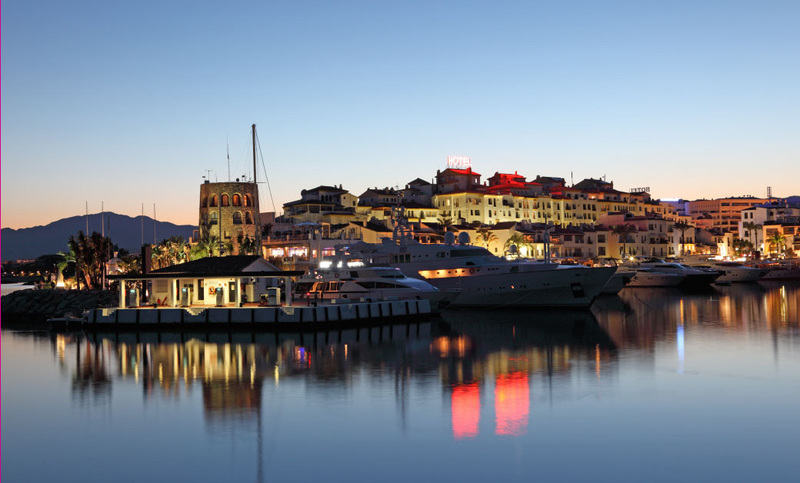 We are often asked why we decided to opt for Puerto Banús as the base for our real estate agency in Marbella. The truth is that we didn’t really make the choice ourselves—it was Puerto Banús who chose us! It was its life, character and people that made us open our real estate office in Playas del Duque and now, more than five years later, we still have the same enthusiasm to search for new homes for you, our friends. Do you want to know why you should live in Marbella – Puerto Banús? Keep reading! Would you like to live on the Costa del Sol? Have you spent your childhood summers in Málaga? Have you always dreamt of an apartment in Marbella? We invite you to discover what is your new dream vacation (and residential) destination: Puerto Banús. Puerto Banús combines the best of a top resort destination with the tranquillity and privacy that is offered by its most sought-after luxury residential complexes. Can you imagine spending your next holiday on the Costa del Sol surrounded by people from all over the world? In Puerto Banús we are fortunate enough to welcome people from all over Europe, especially from England and Germany, who extend their summer through to October or even November. So while you walk along Marbella’s Golden Mile you are likely to hear over ten different languages being spoken. In addition to European visitors, Russians and Arabs are increasingly choosing stunning luxury villas in Puerto Banús in which to establish a holiday residence in the sun, enjoying the mild climate (300+ days of sunshine per year), and the luxury services of the residential complexes. Living in Puerto Banús does not only mean you are surrounded by luxury, but also by beautiful spaces (such as its beautiful, 26-kilometre long beach) and an extraordinary environment to practise all kinds of sports. 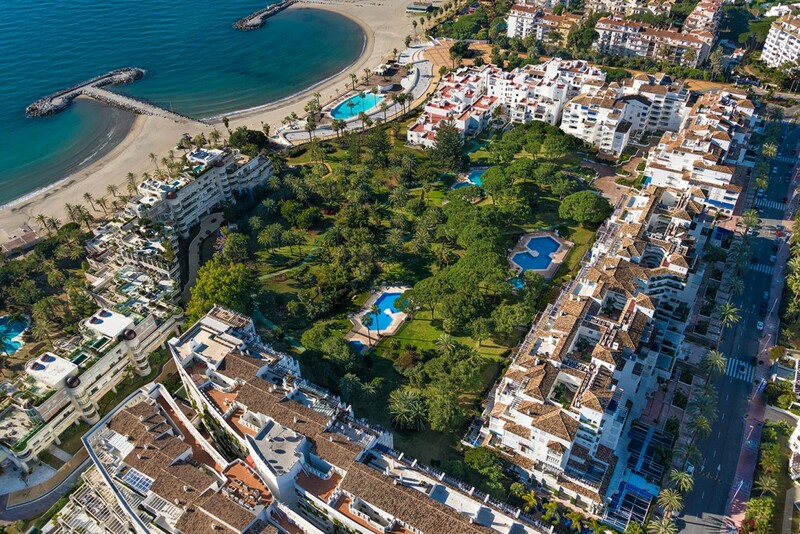 We have a green corridor of over 30,000 square metres that makes up Puerto Banús. Puerto Banús is surrounded by 12 neighbouring golf courses, including those of Nueva Andalucía, which means that both rental and sales demand for luxury homes in Puerto Banús is high, especially in such areas as Playas del Duque. For those who like to run, Puerto Banús offers an ideal environment: large green spaces, wide beaches and elevated areas, to please everyone in the family. Puerto Banús has been, since its foundation, a modern tourist resort that has captivated thousands of visitors, many of whom have become residents. What does a property owner value when renting or buying a home in Puerto Banús? • Having a beach so close to home in summer is a real luxury when you have children. • Luxury services close at hand. • Security and privacy twenty-four hours a day. • An intimate family environment in the heart of a cosmopolitan city. • The best sports clubs and marina with the highest rate of luxury yachts in the Mediterranean. • Homes built of top-quality materials. • An environment with great cultural and social activity, cosmopolitan and international. In essence, if you are looking for a living environment with a high quality of life with your family, Puerto Banús is the perfect destination. You can have a holiday rental apartment in Puerto Banús with the confidence of having an expert like Emily Page on hand to help you find the ideal rental villa in Puerto Banús (bureaucratic procedures included).